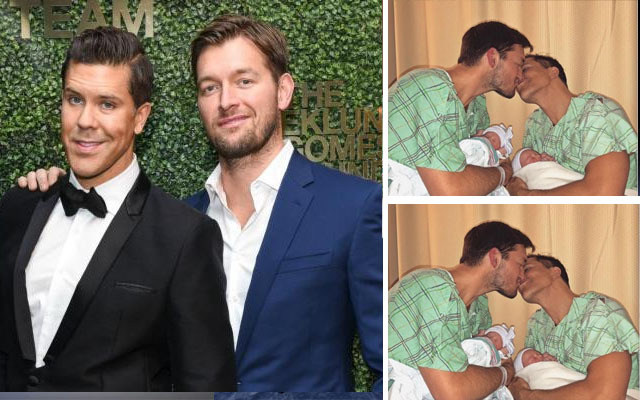 Swedish Reality TV star, Fredrik Eklund and his gay husband are now proud parent of twins. The couple welcomed a boy named Fredrick and a girl named Milla. Eklund shared the wonderful news on Instagram on Tuesday. “Happiest moment of my life. Welcome Fredrick and Milla to the world. 👨‍👨‍👧‍👦,” Eklund wrote alongside a picture of the couple kissing and holding their newborns. The road to fatherhood for Eklund and Kaplan did not come without its challenges. Back in 2015, the couple were using a surrogate who miscarried twins, and then another surrogate also lost a pregnancy after that. Eklund and Kaplan, who met while vacationing in Greece in 2010, tied the knot in 2013.